Lal Kitab, originally published in urdu language, enshrines such effective astrological principles and remedial measures that it has rightly been termed as "The Wonder Book" of Astrology. The science of palmistry too has been explained in such an exquisite manner that each of the 42 divisions of the human brain have been related to the different houses of a man’s birth chart in such a scientific manner that the sketch of the human brain reflects accurately on the lines of the palm. On the basis of these lines of the palm one can draw the actual horoscope of an individual and can do the placement of planets in various houses of the birth chart. 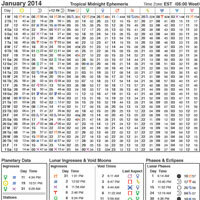 The date of birth and the birth ascendant can be found out by reading the lines and mounts of the palm, which means that an individual’s accurate birth chart can be drawn by seeing the lines of his palm. Similarly, by studying the different aspects of a man’s residential house his birth chart can be accurately prepared on the basis of the sutras explained in the Lal Kitab. 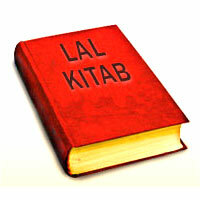 In addition to the above, Lal Kitab has announced unique remedial measures to solve chronic and critical human problems in day to day life. These measures do not require the practice of ordeals, yagnas, havans and other complicated and expensive rituals, which prove more troublesome for persons who are already in trouble because of the evil effects of certain planets. These measures are again different from Yantras, Mantras and Tantras, which give various adverse effects if not followed rigorously in all their minute details. The measures suggested in Lal Kitab are electrically effective in solving all kinds of human troubles and tensions, without inflicting harm on anybody i.e. these remedies are completely self defensive against the evils created by the planets without causing injury in anyway to anyone concerned. The Sun as lord of the 5th, the Mercury as lord of the 3rd and 6th, the Jupiter as lord of the 9th and the Saturn as lord of the 10th are directly or indirectly in some form or the other are the Karakas of the father and his property. But the Jupiter and the Sun, Jupiter and Mercury or Jupiter and Saturn occupying any house jointly carry no relevance to the knowledge about father or father’s property at all. Even Mercury and Sun, Mercury and Saturn or Sun and Saturn also sitting together behave in the same manner. If two or more inimical planets are occupying a single house, they will not behave as enemies. But it does not mean that they do not affect the influences of each other and show their own results of being in that house independently i.e. their conjunction does not affect their individual results. Friendly planets together occupying a house become extremely friendly and help each other in producing good and auspicious results. 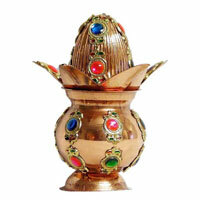 The 7th house is regarded as the Pucca Ghar (permanent house) of Mercury. If Mercury is placed in the 7th house of a horoscope, even the powerful planets like Sun, Mars, Jupiter and Saturn occupying a Kendra, 2nd or 11th house can not affect the health of the native adversely. If a female planet is placed in any house along with Saturn and both are being expected by any other planet, then the expecting planet will become afflicted and affect adversely the persons and relatives of such expecting planet as Karakas. 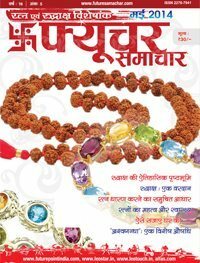 In general, all planets in their Pucca Ghar, own house or exalted house give good results. A planet in inimical house or in a house of debilitation gives bad results. If a planet is not placed in his Pucca Ghar and the same is occupied by a planet inimical to such planet, then that planet will destroy the good results of the house in which he stands placed. 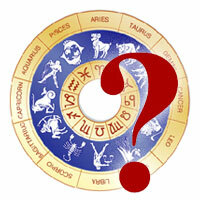 While examining a horoscope, the 1st, 7th, 8th and 11th houses must be examined together as they are mutually interested. The planets in the ascendant is treated as a ruler and the one in the 7th acts as his minister. The planet in the 8th is the eye of that ruler, whereas the planet in the 11th house is the ruler's foot. More planets in the 7th house than the 1st house shows that the ruler does not have required control over his minister. If the planets in the 11th house are inimical to the planets in the first house, then they will not obey the command of the ruler i.e., the results of the 11th house will be adversely affected. The planets of the 8th house (eyes) guide the planets of the 7th house (minister) and control their actions and effects. If the planets of the 1st and 8th houses are friendly, then the planet in the 7th house can not play any mischief. Mars in the 7th is considered to be highly conducive for gaining large property. 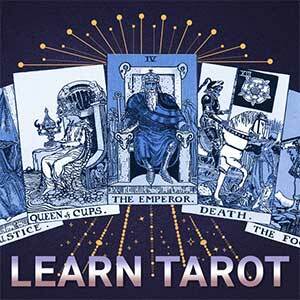 But if mercury is in the Lagna, it will destroy the properties. It will be destroyed because of the foolishness of the native, because here the Mercury being in the first house is Karaka of the native. At the same time if the Mercury is in the 8th house, it will again destroy the properties, but here the reasons for destination will be unknown and invisible, because the active elements of the 8th house are always secretive and mysterious in nature over which the native has no control. Similarly, if the planets of the 1st and 11th houses destination are friendly, they will control the planets of the 7th house. If they are inimical, the results would be bad. The planets of the 1st house aspect the planets of the 7th house. If they are mutually inimical, then the bad results accrue because of the foolishness or unworthiness of the native. 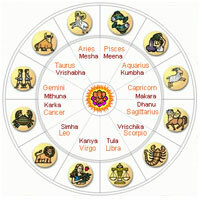 The planets of the 8th house aspect the planets of the 2nd house and thereby affect their results. 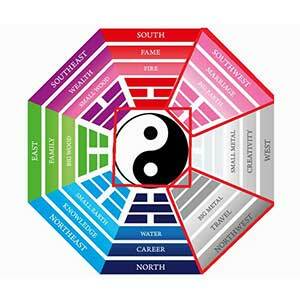 (a) The planets of the 8th house aspect the 2nd house and thereby affect the results of the 2nd house. The effects of the aspects of the planets of the 8th house over the 2nd house are affected by the planets of the 11th house - favourably if friendly and unfavourably if inimical. 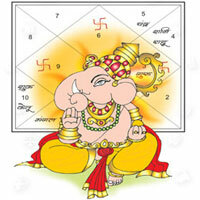 (b) The planets of the 2nd house aspect the 6th house and affects its results. The planets of the 6th and 8th houses have secret relations with each other, because of which they also affect the planets of the 2nd house (+++). (c) The 12th house also affects the 2nd house (+++). If there are evil planets in the 6th and 8th houses, (because of their secret/implied conjunction) their evil power increases 10 times. (d) If the planets in the 12th and 8th houses are inimical, the native should not visit temples and other places of worship. (a) If there is any planet in the 3rd house, it will start showing effects after the birth of the native's younger brother. If the 9th and 5th houses are occupied by Saturn Rahu or Ketu then the unfavourable changes start coming up in the native's life just after the birth of the child. (b) If there are good planets in the 9th house and there is no planet in the 2nd house, the native remains deprived of all the benefits. (c) If there is no planet in the 4th house, or it is occupied by Rahu, Ketu or Saturn, then the good results of the 10th house will not be received by the native. If 10th and 2nd houses are empty, the good results of the 4th house will go waste. (d) If the 3rd and 9th houses are bad, the 5th will also prove bad. 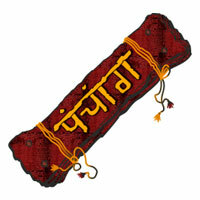 (e) If the 9th is occupied by Sun or Moon, the 5th house will give good results. (f) If the 9th is occupied by Sun or Moon, then Rahu or Ketu in the 5th will neither affect the issues of the native or the native himself adversely. (g) If Rahu or Ketu be placed in the 5th and there are inimical planets in the 8th then strokes of misfortune will hit the native through the 11th house. The relatives indicated by the planets of the 5th and 8th houses will also be affected. In this situation the earnings of the native will also be affected very adversely, if the 2nd house is empty. Nothing will be able to save the native. Now the planets of the 10th and 5th will also turn to be malefic whatever be their natural character.